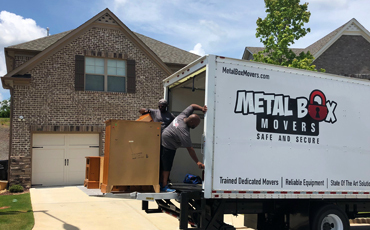 When you’re looking for moving services in Marietta, there’s no better choice than Metal Box Movers (MBM). 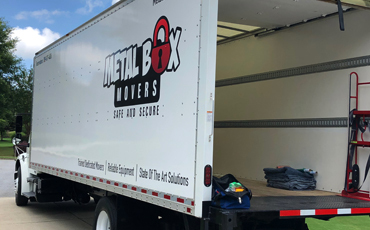 At MBM, we understand what it takes to get your things from your old place to your new one, and we’ll make sure that everything is handled with care. Contact us today to schedule your next move! It’s always exciting to move to a new house, but what you might not be excited about is packing up and moving all of your belongings. You may have a lot of stuff, and the idea of renting a truck, loading everything, driving the truck, and then unloading everything might be a bit much. With our help, you can rest assured that everything will be carried and loaded properly, and that your items will arrive on time and in great condition. We’ll take care of all the heavy lifting! If you’re a business owner who’s looking to relocate your office, then there are several logistics that have to be taken care of in a prompt and timely manner. You may have lots of office furniture such as desks and chairs, along with your complex computer network, that need to be moved. 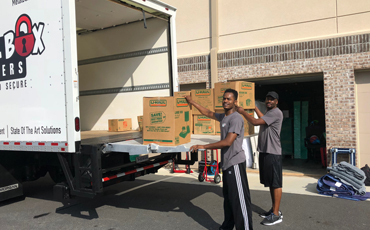 Our team of expert movers can handle your commercial relocation, and you can focus on making sure your employees can get settled in to the new building. If you live in Marietta and you need moving services, then please contact us right away. You can call us at (770) 795-1800, or you can fill out the form below and a member of our team will contact you as soon as possible. If you have questions about your upcoming move, then check out our FAQ page. We look forward to making your next move a success!